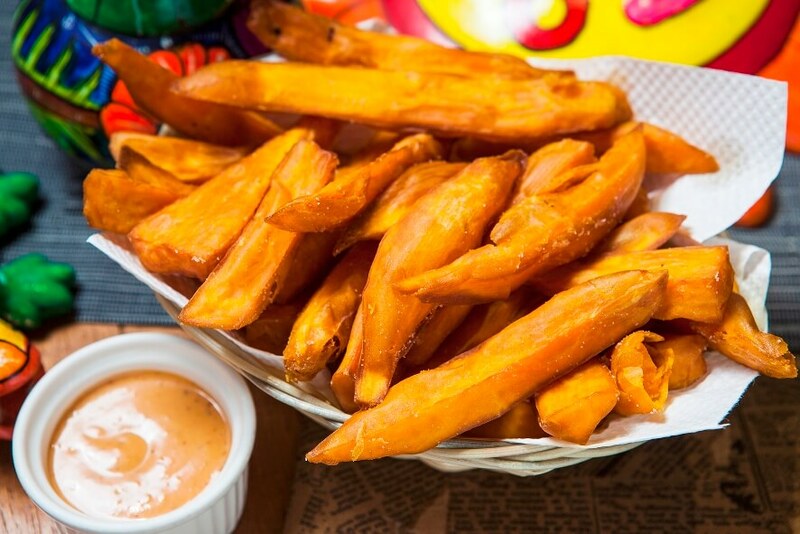 House cut sweet potatoes fries, lightly salted and fried. 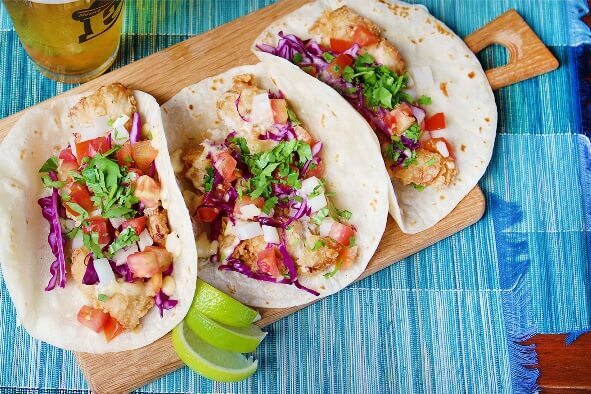 Served with housemade Chipotle Mayo. 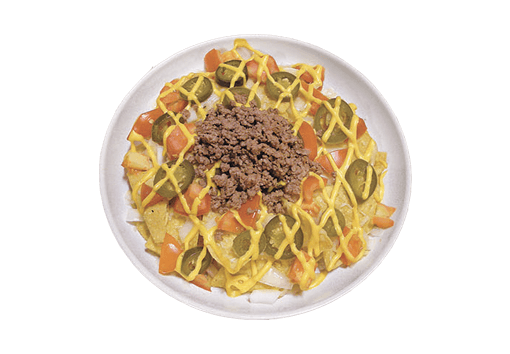 Fresh corn tortillas chips topped with shredded mozzarella, diced onions, tomatoes, pickled jalapeños and shredded cheddar cheese. 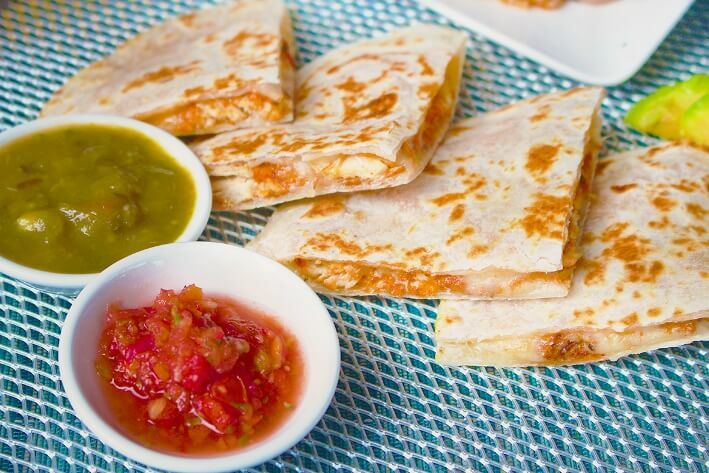 Baked till golden-brown and topped with your choice of meat or beans. 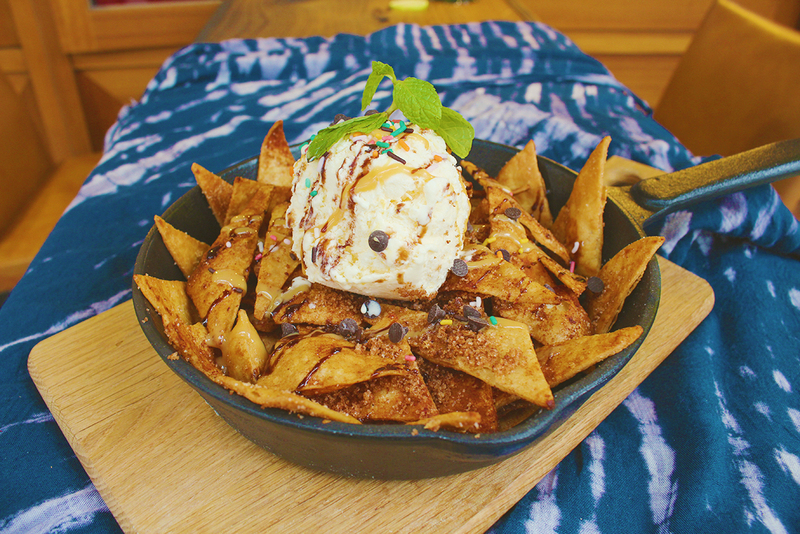 Our Mexican version of classic salad. 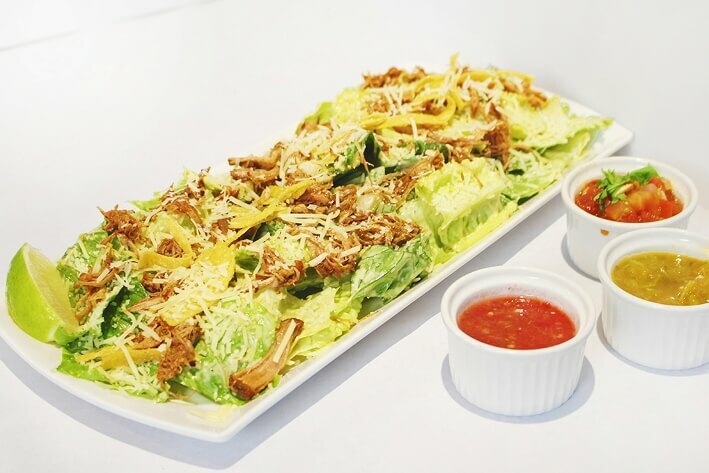 Romaine lettuce tossed in our own Mexican caesar dressing and parmesan cheese. 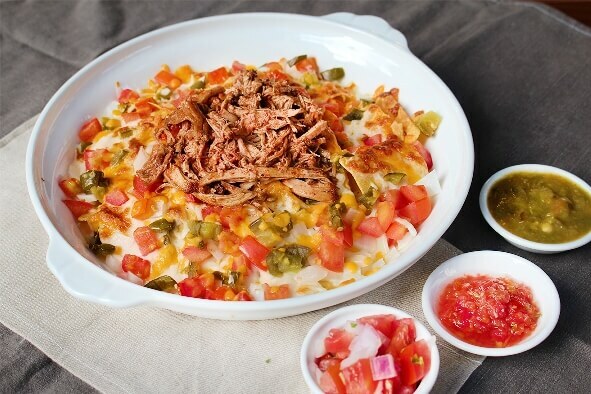 Topped with fresh tortilla strips and our slow cooked carnitas pulled pork. 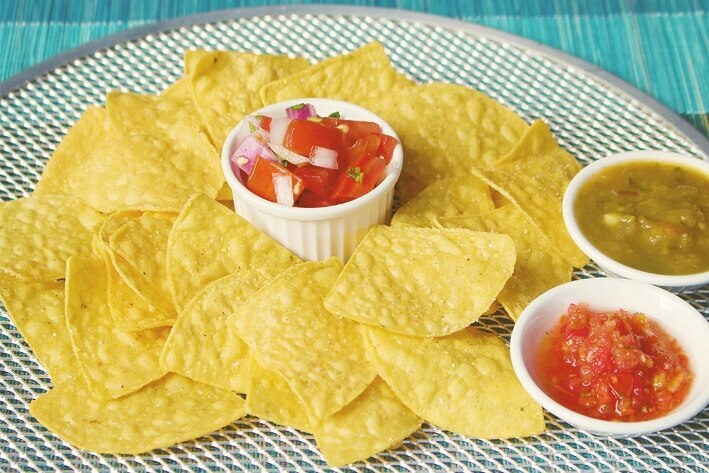 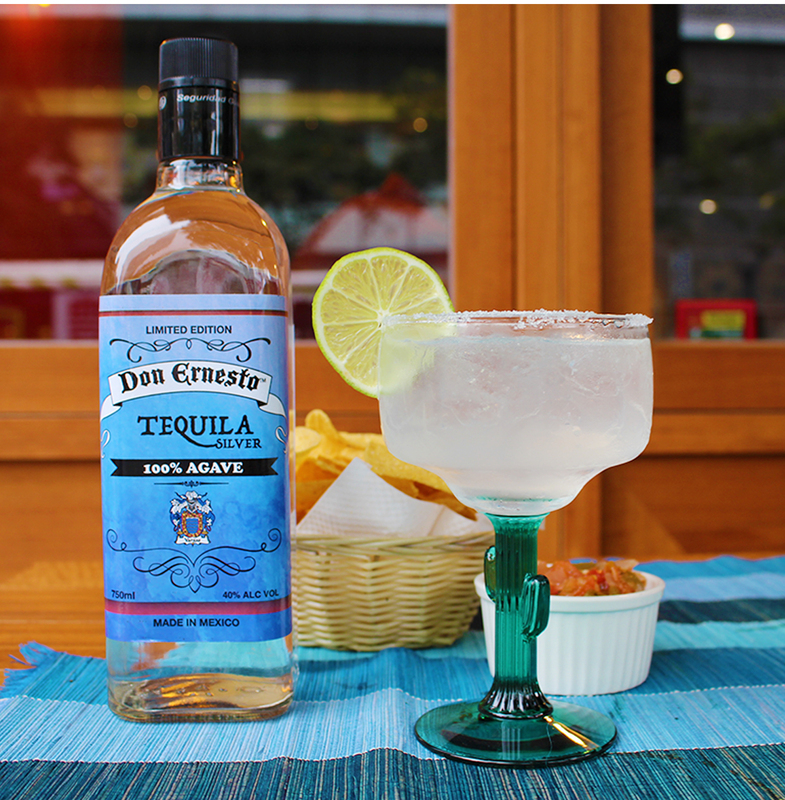 Fresh in-House fried corn tortilla chips, lightly salted and served with homemade chunky salsa. 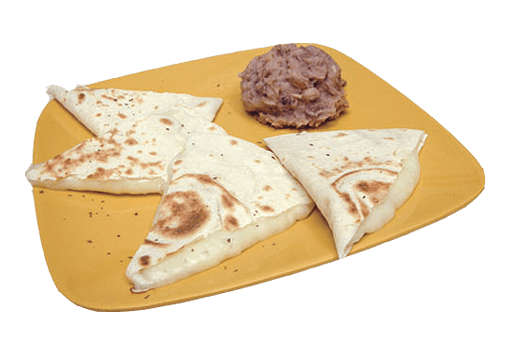 A fresh tortilla stuffed with cheese and chicken, ground beef, carnitas or beans. 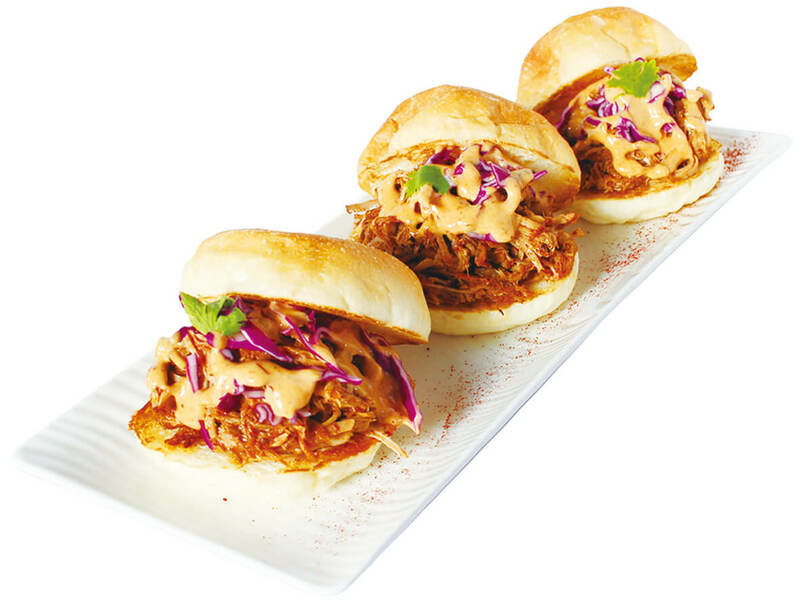 Three fresh, local made to order, mini-hamburger buns topped with our slow cooked carnitas pulled pork, shredded purple cabbage and housemade chipotle mayo sauce. 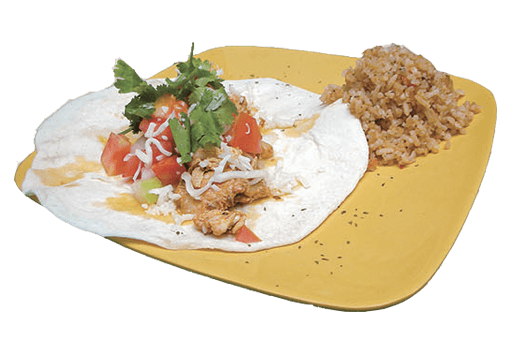 Choose from in house made flour or corn tortillas, topped with your choice of meat or vegetarian options, pico de gallo, shredded mozzarella cheese and fresh cut cilantro and served with a lemon wedge. 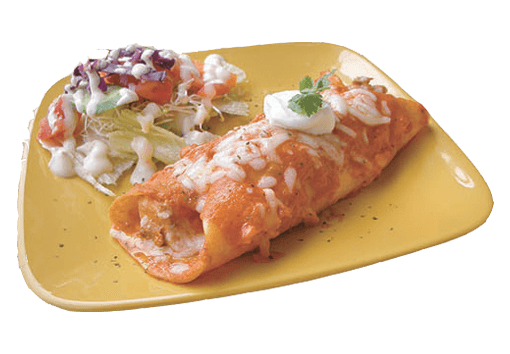 Two flour tortillas cooked in Enchilada sauce and stuffed with cheese and lightly marinated and cooked Northern Mexican style chicken. 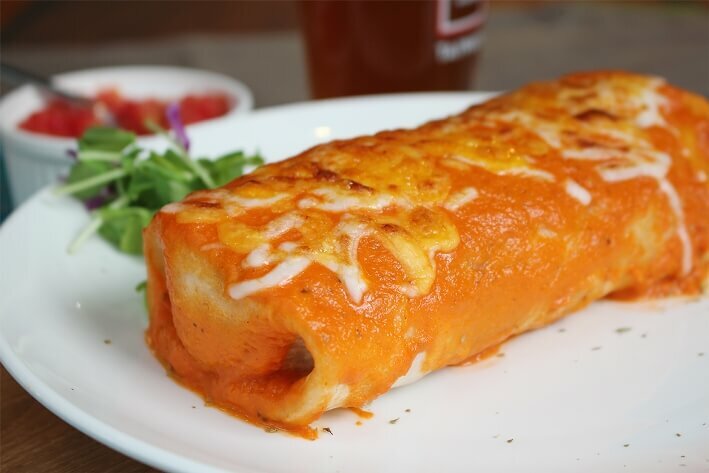 Then wrapped and topped with even more sauce, more cheese and baked to crispy perfection. 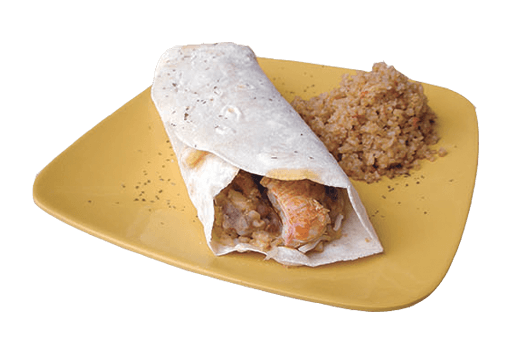 The classic original burrito. 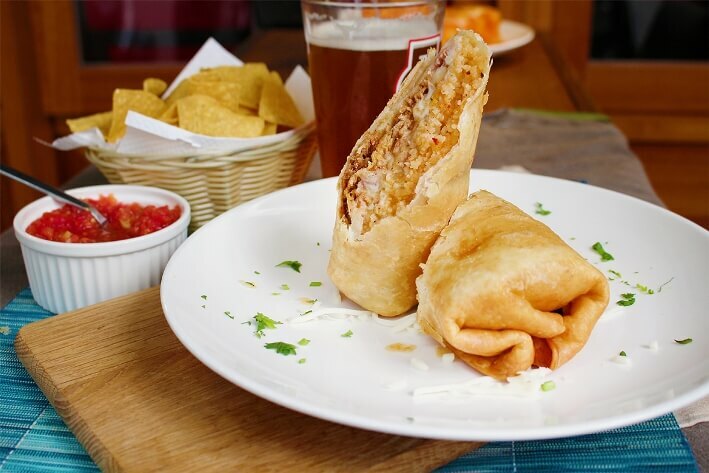 A housemade flour tortilla stuffed with Mexican red rice, shredded mozzarella cheese, refried beans and meat or vegetarian options. 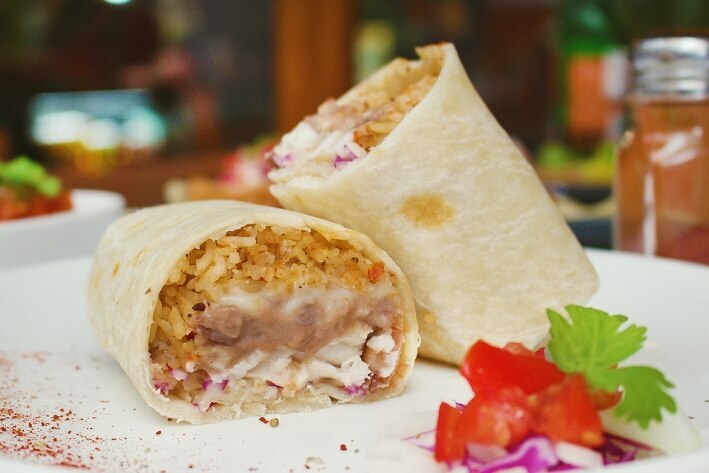 A deep fried classic burrito with chicken, ground beef, carnitas or beans. 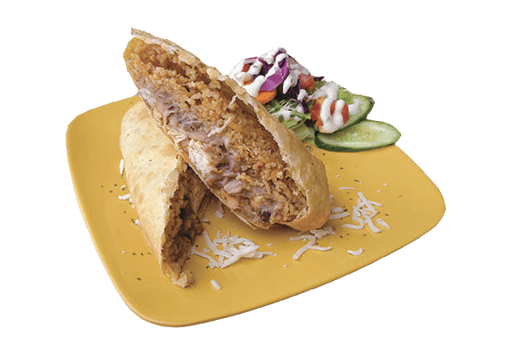 A housemade flour tortilla stuffed with Mexican red rice, shredded mozzarella cheese, refried beans and meat or vegetarian options. 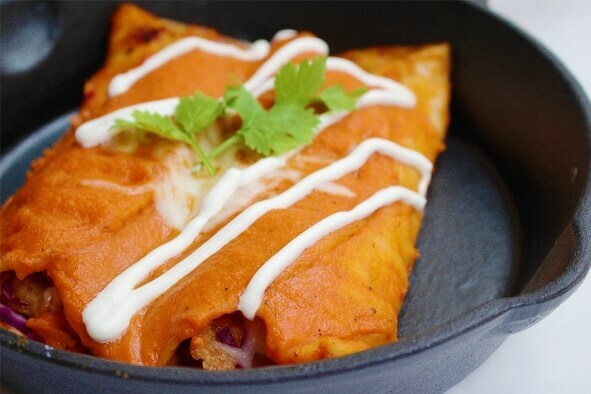 Dressed with enchiladas sauce, shredded mozzarella and cheddar cheese and baked to golden brown. 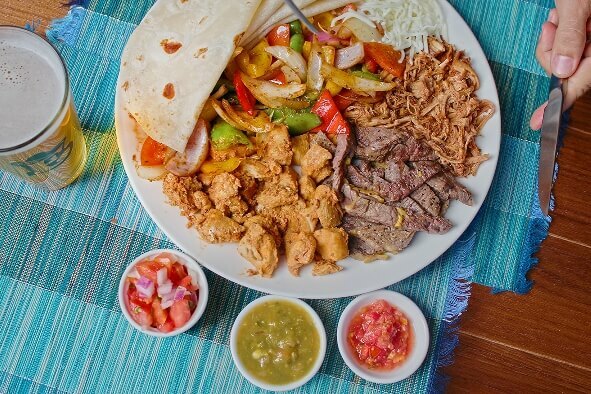 Chicken, steak and carnitas accompanied by 2 kinds of onions and 3 kinds of bell peppers, served with 4 homemade tortillas. 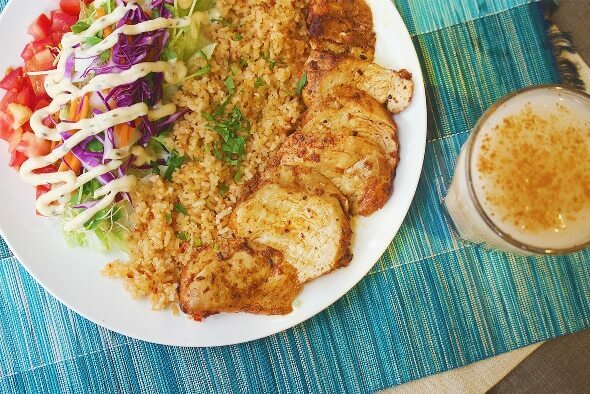 Slow roasted chicken breast served with red rice and house salad. 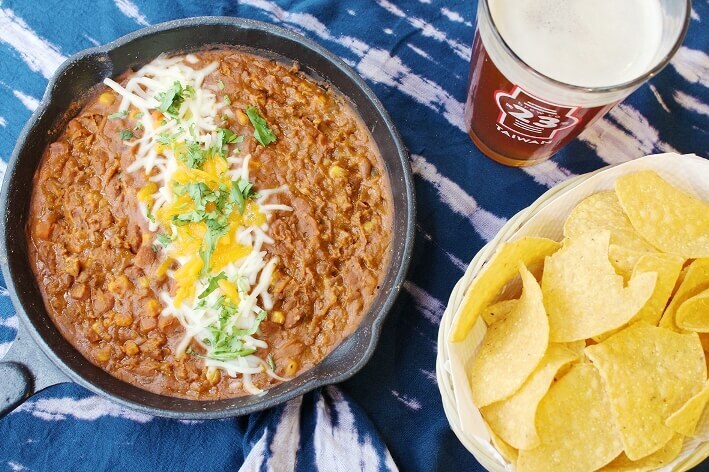 Hearty homestyle chili made the way mom used to make it. 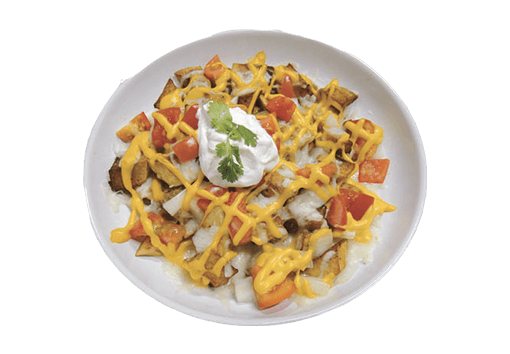 Pinto beans, beef and veggies slow cooked on a low flame with a little chipotle pepper for that tiny little kick then topped with two cheeses. 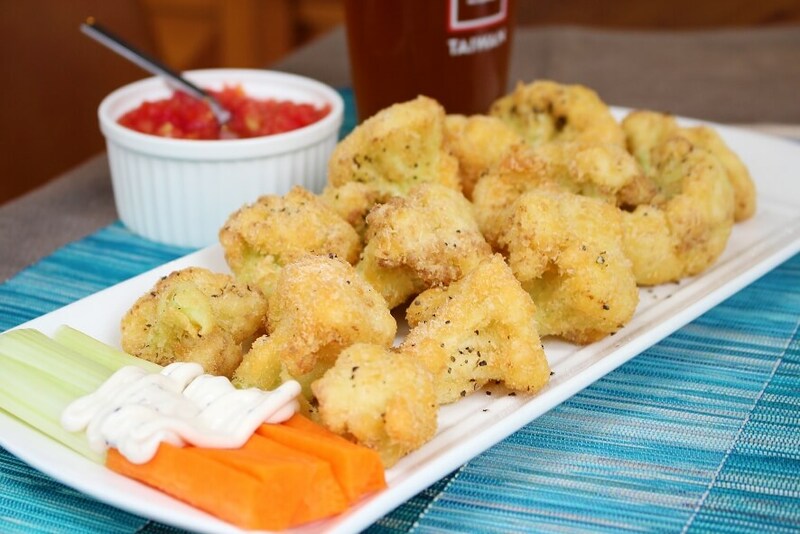 Lightly seasoned cauliflower drumsticks battered and fried till golden-brown and crunchy. 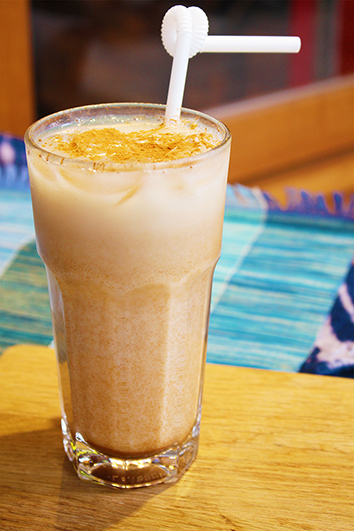 You don’t need to be a vegetarian to enjoy this delicious treat. 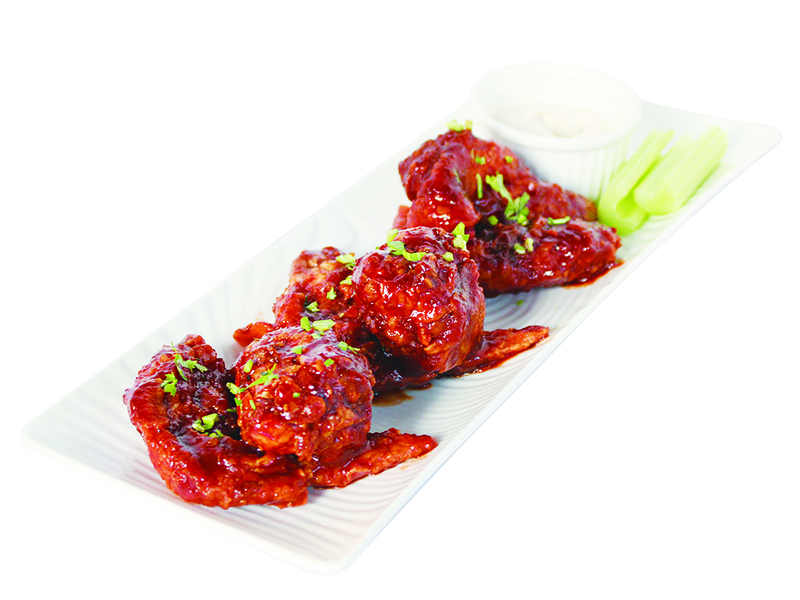 Try it in your favorite wing sauce for an extra treat.